The early 1990’s were an interesting time. The economy was bad. America was at War in Iraq with the gulf war, George H.W. Bush was President, and I was a young adult recently out of college and struggling to find myself. I was young, unsure of what I wanted in life and my career, and I was confused. I was not unlike many other Gen X’ers during that time period. I struggled, but I pulled through. I wasn’t sure of who I was or what I wanted to accomplish in life (in some ways I still don’t). I knew I wanted to change the world. Instead, the world changed me. Even though I was struggling there was one thing I could relate to during that period of time and that was music, and especially the music coming out of Seattle, Washington branded as “Grunge Music”. This music was different than the music from the 1980’s. It was dark, loud and in your face. 80’s music was loud too, but the music of that decade was more about partying and having a good time and music in the early 90’s, especially grunge, was more serious and had a punk-rock edge to it. 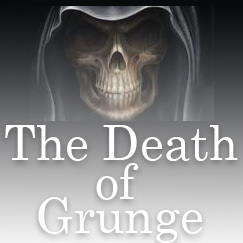 Grunge was a fad, just like synth pop in the 1980’s or acoustic music in the early 1960’s. It didn’t last forever. Seattle area bands Nirvana, Pearl Jam, Sound Garden, and Alice in Chains all hit it big, but of those bands, only Pearl Jam is still somewhat popular. Nirvana was the first of those bands to get hugely popular back in 1991. Their album “Nevermind” with the hit single “Smells Like Teen Spirit” catapulted the band into superstardom they never knew existed. They stayed popular until Kurt Cobain’s death a few years later in 1994. After that no more Nirvana. Their drummer Dave Grohl did go on to form another band, The Foo Fighters who are still popular to this day. In addition to Kurt Cobain passing away, that era also lost singers Andrew Wood of Mother Love Bone, Shannon Hoon of Blind Melon, Layne Staley of Alice in Chains, Scott Weiland of Stone Temple Pilots and Velvet Revolver and most recently Chris Cornell of Sound Garden and Audioslave. All of these guys dies too soon and they were all drug related, as well as depression related. Like I said the early 1990’s was a dark depressing time. The world can be a dark and unforgiving place. Chris Cornell and many other grunge heroes have found that out over the years. Rest in Peace Chris. Your music will live on with me forever.